Living on Mars might seem like a dream, but we're one step closer thanks to a brilliant new housing design. 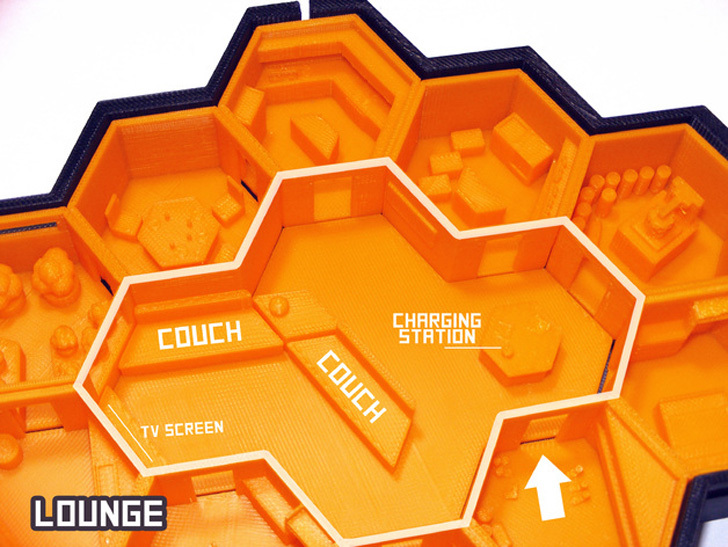 Noah Hornberger won NASA and MakerBot’s Mars Base Challenge with a series of honeycomb homes. 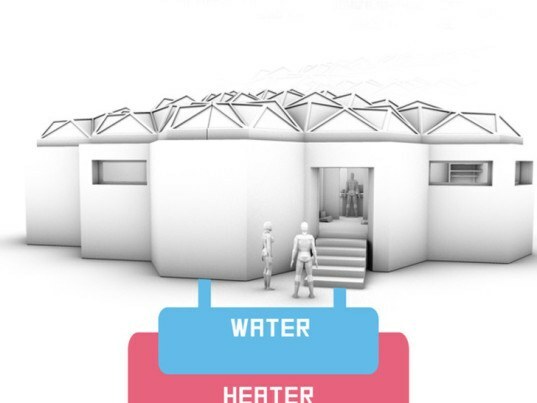 The contest called for 3D designers to imagine a scenario that would make Mars habitable by designing homes built either from materials found on the Red Planet, or brought from Earth and 3D-printed on site. Hornberger’s 3D-printed two bedroom, two bathroom Queen B nabbed first prize with its bee-inspired hexagonal grid. Colonizing Mars has been a science fiction dream for years, but designers have been toying with the notion ever since Mars One started popping up in the news. Jumping on board is MakerBot, which launched the competition along with NASA to see if 3D printing could really be the answer to livable designs on another planet. Against 228 enthusiastic submissions, Hornberger nabbed a MakerBot Replicator Desktop 3D printer for his winning design. The Queen B is based off of a hexagonal grid. Each component of the apartment can be 3D printed in hexagonal modules, then fitted together. The equal-sized modules house separate compartments- two bedrooms, two bathrooms, a garden, dining room, kitchen, laundry room, mud room and of course a 3D printing lab. The modules are arranged to form a four-module space in the center, used as a big lounge and charging station. To combat the radiation from Mars’ atmosphere, the colony would be coated in uranium panels, and to warm up the frigid temperatures, water pipes would run through the walls. The Queen B would be printed on-site, and could join other structures to form an inner-connected colony. While living on Mars may still be a space-age dream, 3D printing could be a key to its future. The Queen Bee is based off of a hexagonal grid. Each component of the apartment can be 3D printed in hexagonal modules, then fitted together. The equal-sized modules house separate compartments- two bedrooms, two bathrooms, a garden, dining room, kitchen, laundry room, mud room and of course a 3D printing lab. The modules are arranged to form a four-module space in the center, used as a big lounge and charging station. Colonizing Mars has been a science fiction dream for years, but designers have been toying with the notion ever since Mars One started popping up in the news. Jumping on board is MakerBot, which launched the competition along with NASA to see if 3D printing could really be the answer to livable designs on another planet. Against 228 enthusiastic submissions, Hornberger nabbed a MakerBot Replicator Desktop 3D printer for his winning design. To combat the radiation from Mar’s different atmosphere, the colony would be coated in uranium panels, and to warm up the frigid temperatures, water pipes would run through the walls. The Queen B would be printed on-site, and could join other structures to form an inner-connected colony. While living on Mars may still be a space-age dream, 3D printing could be a key to its future.